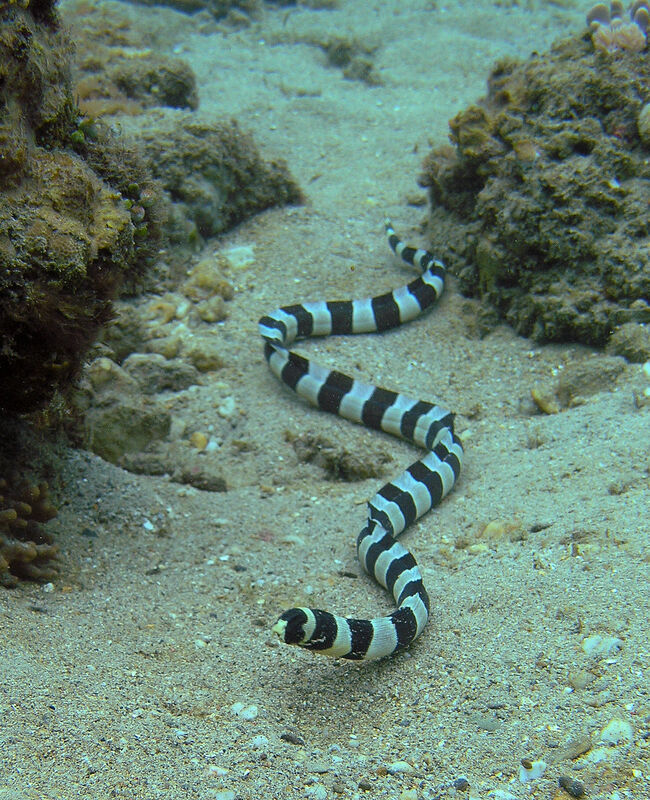 This eel that will burrow into the sand. It will stick its head out of the sand waiting for something to eat to come by, like an invertebrate. They’re pretty non-aggressive and do well in FO or FOWLR tanks, as long as they have sand. They should be fed with a feeding stick.